Stairs can be difficult to clean. That’s when the best vacuum for stairs comes to the rescue! Make your cleaning days easier with these top choices. 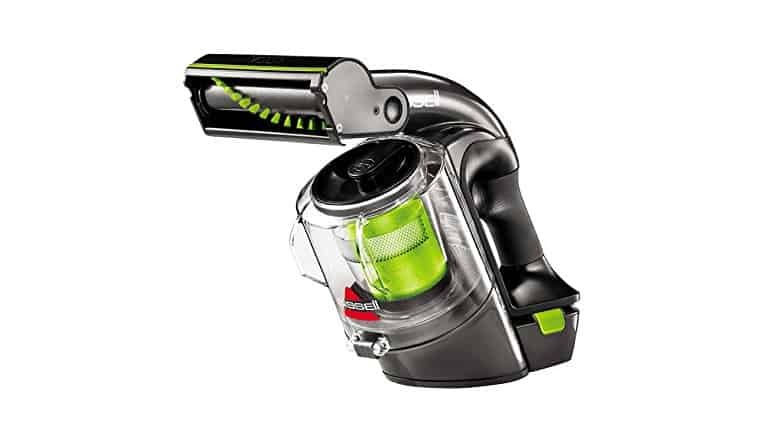 Smart Charge Technology keeps the vacuum from overcharging. Dirt never escapes from this vacuum cleaner. Dustbin door needs to be handled gently. Attachments allow you to clean any kind of surface. The vacuum itself is a bit too heavy. 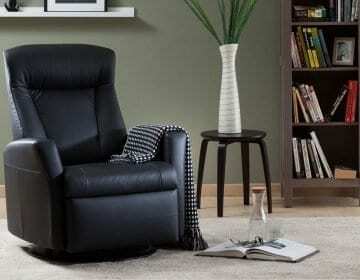 Anti-allergen technology removes 99% of harmful particles. Hose is both short and stiff. Equally efficient on both hard floors and carpets. 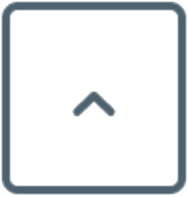 Built-in tools make switching from task to task a breeze. Three-stage filtration system ensures thorough cleaning. Ergonomic grip makes holding the vacuum easier. Appropriate for use on both dry and wet surfaces. Comes with a built-in neck strap. Can be used with lift-away vacuums. Want to get the most out of your vacuum cleaner? Get one with fade-free technology, that is, lithium-ion batteries. According to CleanLink, this type of battery keeps the vacuum from slowing down until it’s completely depleted. It’s also a lot more durable than regular ones. Cleaning is a thing not many of us enjoy. That’s especially true for those who have to deal with stairs as well. 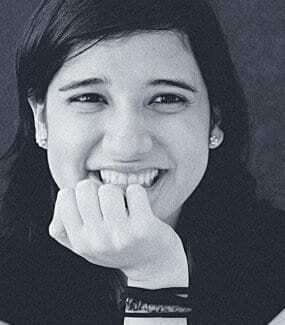 On the other hand, it’s not that hard to make your life easier in that respect. You only need to find the best vacuum for stairs. I've already bought a great vacumm to clean my tile floors with. Why should I use a special appliance for cleaning stairs? Well, there are actually a lot of upsides to this. The right vacuum can save you a lot of time and effort. But instead of taking our word for it, check out the detailed reviews we’ve prepared for you. Choosing between a number of different products is tough, regardless of what you’re looking to buy. It’s the same with vacuum cleaners. You have to think about types of devices, cords, battery life, attachments… But there are a couple of questions you can try to answer to make it easier for yourself. Do you own a regular vacuum cleaner? If you do, you might want to opt for a handheld unit. If you don’t, consider choosing a lift-away model. 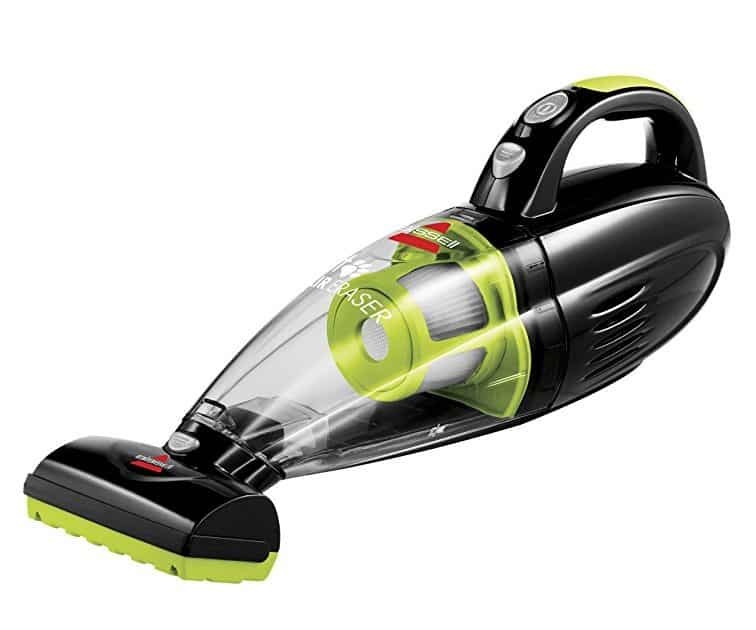 It’s basically a regular vacuum with a handheld unit you can detach and use on its own. Would you mind using a corded vacuum? If you have plenty of wall outlets in your home, you can just as easily use a corded unit. It’s a whole other thing if you wouldn’t have anywhere to plug it in. It can also be annoying to wrangle the cord while vacuuming, keeping them out of your way. In that case, it might be best to look for a cordless vacuum. Would you use your vacuum in smaller or larger areas? 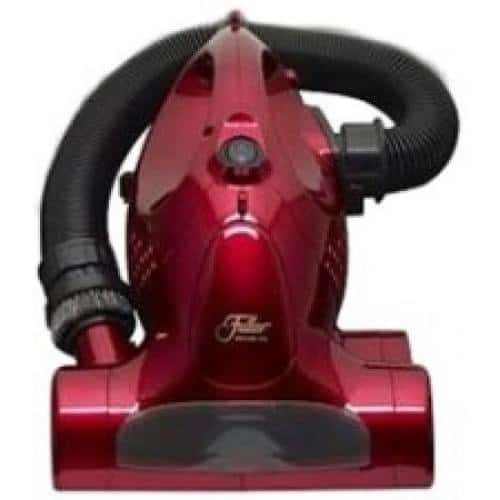 Battery life is one of the most important factors when it comes to choosing the right vacuum cleaner. If you think 15 minutes of run time would get the job done, pick any model you want. But if that wouldn’t be enough, choose a lift-away model. What kind of cleaning would you do with your vacuum? It’s important to answer this so you’ll know which attachments and features to get. 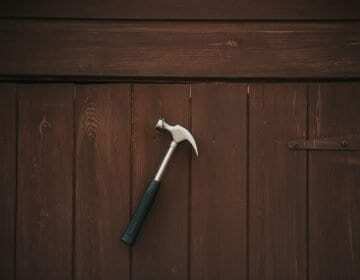 If you want to be able to reach all the nooks and crannies of your home, make sure to get a crevice tool. If it’s important that you’re able to clean in low-light conditions, look for a vacuum with LED lights. 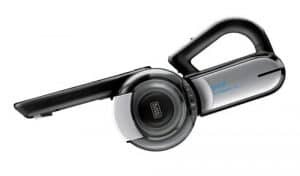 If you’re looking for a lightweight handheld vacuum for your stairs, this cordless model from Black & Decker is a great choice. It has a lithium-ion battery and a smart charge system that keeps it from overcharging. As a result, you get a vacuum cleaner that doesn’t lose battery life over time. We loved the rotating nozzle on this vacuum cleaner. In our testing, we found it enables quick and easy cleanup on a variety of surfaces. It also comes with various attachments, such as the crevice tool for hard-to-reach areas—an accessory we thought was extremely handy. 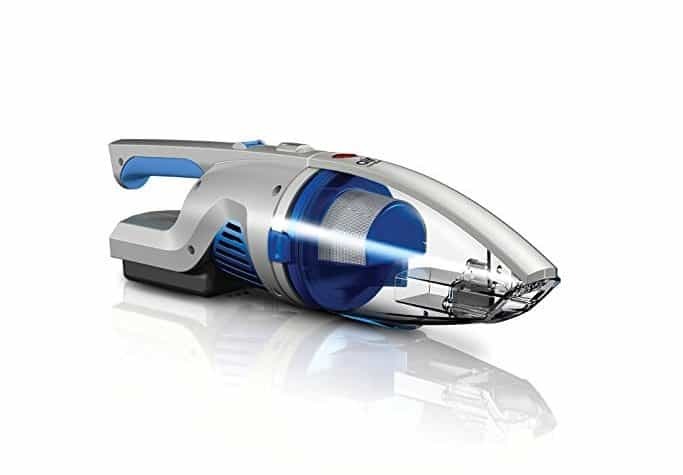 Black & Decker are famous for their great vacuum cleaners, and this one is no exception. The cyclonic suction action was extremely reliable at making sure the dirt stayed inside the vacuum while we were using it. And to make sure cleaning is even simpler, this vacuum’s see-through dirt cup made it very easy to be emptied. We washed and reused the filter that comes with this model and it held up well. However, this vacuum cleaner has a charging time of four to six hours. For us, we found it to only run for around 15 minutes. 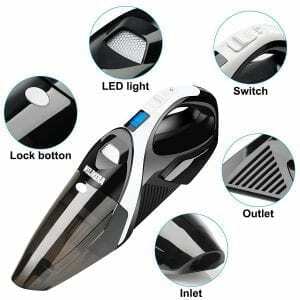 That might be suitable only smaller messes, but if you have large areas to clean this device might be the best option. Another thing we noted while using this vacuum is that it’s quite loud, and its opening is narrower than that of other models. 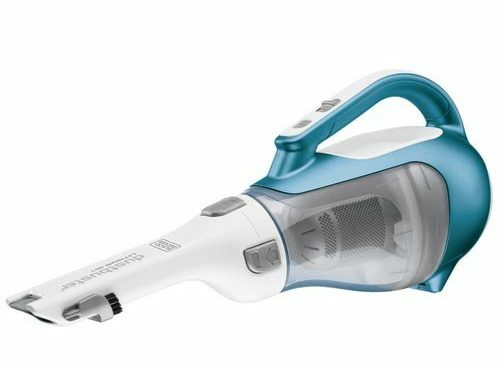 This Black & Decker Pivot vacuum is one of the best ones we tried. 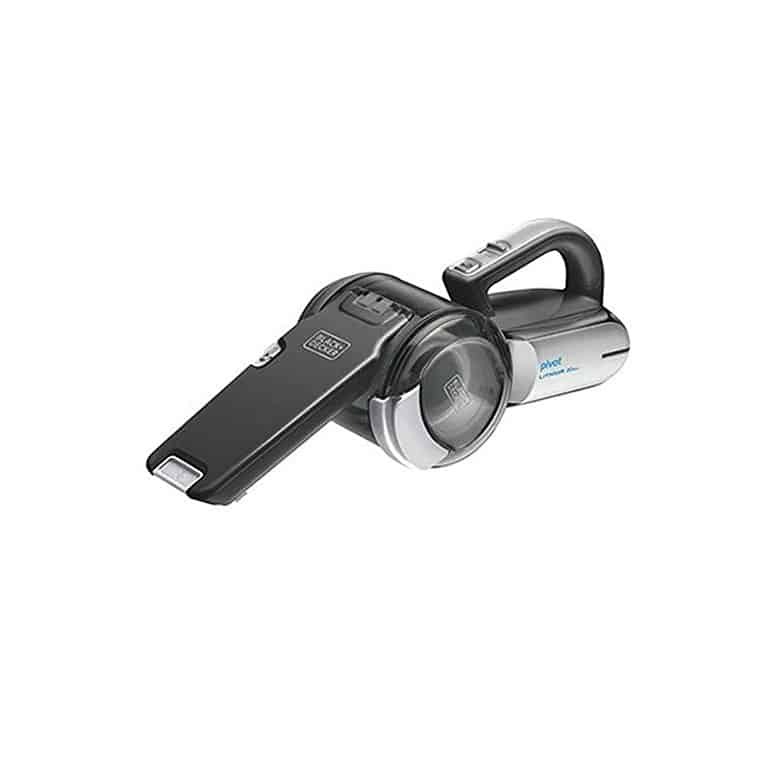 Our favorite feature of this Black + Decker model is that it’s handheld and cordless. Additionally, we found the lithium-ion battery makes it less prone to losing power over time. The high-quality motor made for strong suction and, thanks to cyclonic suction action, there was no dirt spilling out or clogging the filter. One of the best features of the Pivot vacuum is the pivoting nozzle, which is great for reaching inconvenient areas. It also comes with built-in crevice tool and brush. They were easy to pull out when we needed them and easy to move them out of the way when we didn’t. As an added bonus, this vacuum has a wide mouth. It was excellent for cleaning up large debris. Another upside to owning this model is the dustbin, which can be opened and emptied via a door, or completely removed and washed. There’s one issue, though. Namely, a lot of users report that the dustbin doors are prone to breaking. Another issue is the runtime, which is a bit short at 10 to 15 minutes when fully charged. 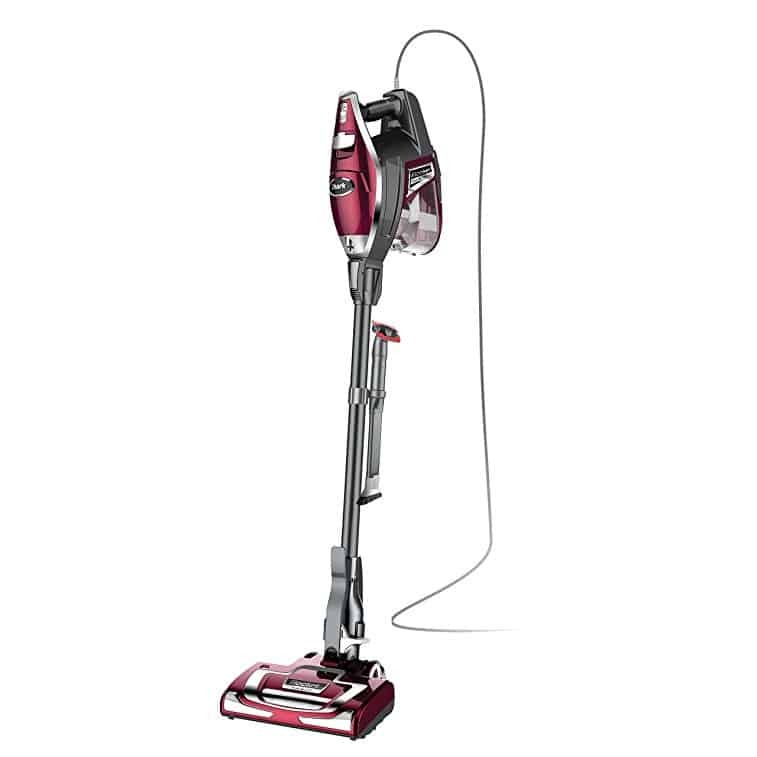 If you prioritize suction power in a vacuum cleaner, this lift-away model is an excellent choice. The Shark Navigator is an upright appliance that can be used like a regular vacuum cleaner. However, its canister can also be detached and lifted, so cleaning hard-to-reach areas becomes easier. The anti-allergen technology and HEPA filter make sure that 99% of dust and allergens stays inside the vacuum. 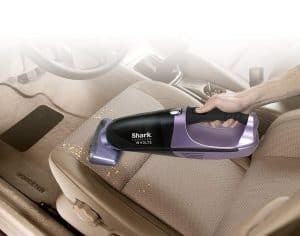 During our testing, we noticed the suction power of the Shark Navigator vacuum is excellent. It also comes with various tools that make cleaning inconvenient spots easy. However, there’s no space on the vacuum itself for all the tools, so they have to be stored separately. The hose is also a bit stiff and short, but the 30-foot power cord makes access simpler. The dust cup in this vacuum is large, and it can be easily emptied and cleaned. You can adjust the suction level, so you can vacuum small rugs without lifting them. All in all, this is a reliable, lightweight, and powerful machine great for all sorts of applications. 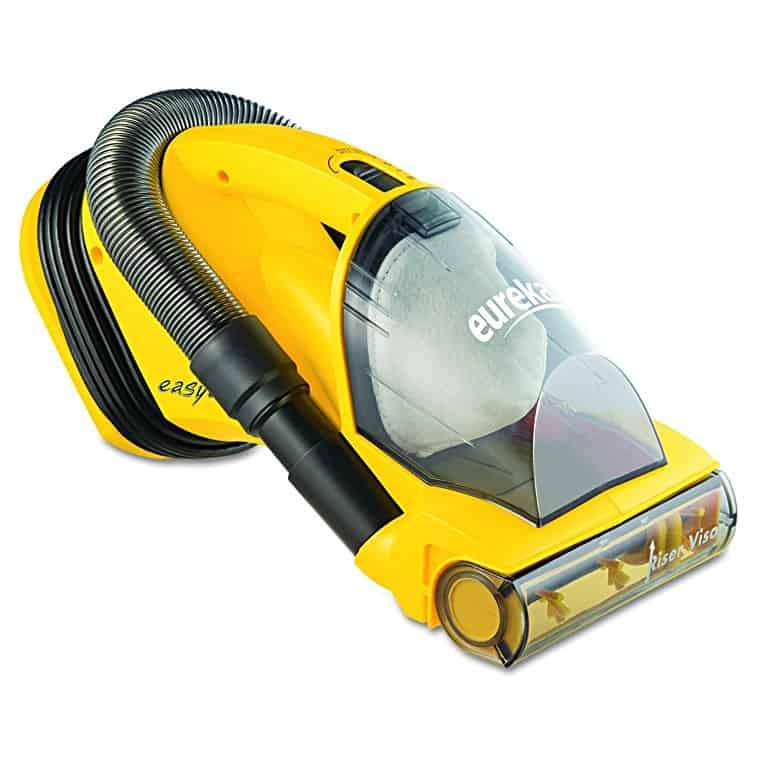 If you’re looking for a compact, but powerful vacuum cleaner, Eureka is a top choice. 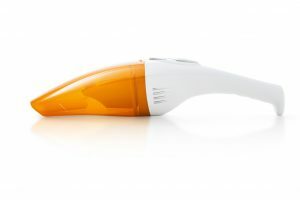 They’re a leading brand, and their EasyClean is a great choice when it comes to handheld vacuums. The EasyClean vacuum is small and compact, so you can easily store it. It also provides flexibility with its cord and nozzle that reach 23 feet. Thanks to its revolving brush and Riser Visor, you can use it on various surfaces. 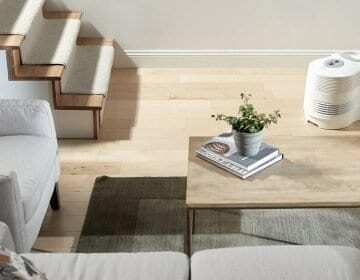 This includes not only stairs but also floors in general, upholstery and cars. 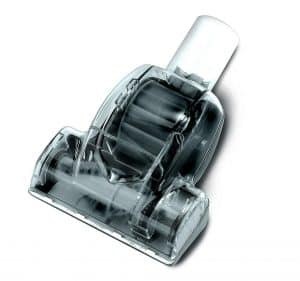 For ease of use, the EasyClean vacuum also features a washable dust cup. We liked that this meant we didn’t need to bother buying replacement bags. The dust cup was simple to remove and empty when we were done vacuuming. On top of that, this vacuum cleaner also comes with a washable filter. The only downsides we could find concerning the EasyClean vacuum is that it’s not a suitable replacement for traditional vacuum cleaners. This is a handheld item, so it’s recommended that it be used for shorter periods of time. It also blows a strong current of air out the back, so avoid pointing the back toward dusty areas. Don’t own a regular vacuum cleaner? If you’re looking for a device that could clean your entire home, get yourself a Shark Rocket vacuum. 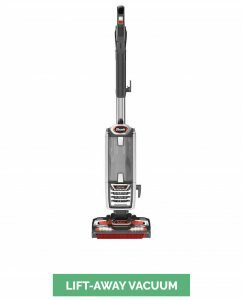 It’s a lightweight lift-away model with great suction. But that’s not everything we liked about it. 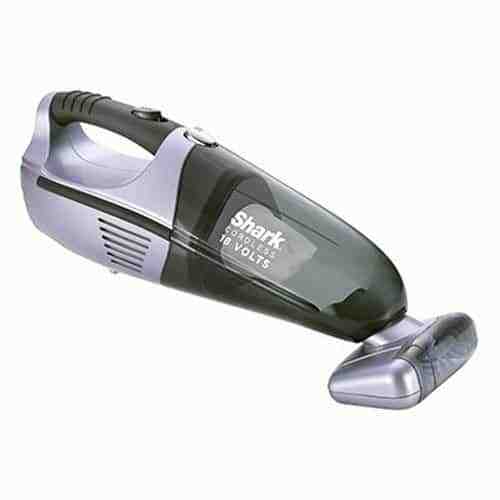 The Shark Rocket model has a detachable hand vacuum. This was extremely convenient. When you need to clean your floors, simply plug it in and press the power button. For cleaning stairs and places that are hard to reach, it was very easy to detach the handheld part. The handheld part was so light, we even used it to clean ceilings without experiencing much fatigue. 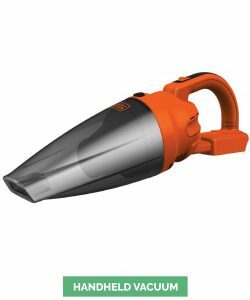 One of the best features of the Shark Rocket vacuum is its attachments. You get one that’s perfect for cleaning hard floors, as well as a microfiber pad for removing dry debris. There’s also a motorized brush you can use for deep cleaning. The dust cup is quite large. In fact, we found it greatly reduced the number of times it needed to be emptied. Additionally, the LED lights make it easier to vacuum spaces that aren’t lighted properly. If you want a vacuum cleaner that will rid you of pet hair, this one, unfortunately, didn’t do the trick for us. Also, it’s corded, so you can only use it while it’s plugged in. And although it’s very powerful when it’s still brand-new, the unit we tested started losing its power pretty quickly. If you want a vacuum that will make your stairs spotless, Black & Decker is a reputable company with high-quality products. And their Dustbuster model proved to be a pretty good representation of that fact. It’s handheld, lightweight, and extremely simple to use. All the tools you need are built-in, which makes it less of a hassle to switch from task to task. 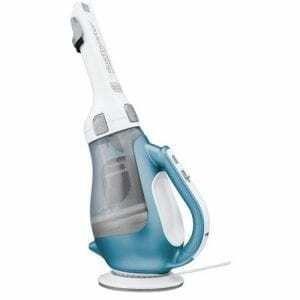 The Dustbuster vacuum is equipped with a lithium-ion battery which lasts for around 15 to 20 minutes. This is one of the only shortcomings of this item, making it not suitable for the larger jobs we tried it on. The cord is short, so you can only use it for charging. Also, users often say that the unit is pretty loud, so keep that in mind if you live in an apartment. On the other hand, the Dustbuster vacuum is great for deep cleaning because it has powerful suction action. The 3-stage filtration will make sure your home is really clean. This item comes with a wall mount, so you can easily store it. The dirt cup is simple to clean and the filters can be washed. The Shark Pet Perfect is a small and lightweight vacuum cleaner. It’s handheld and cordless, like many of the models we reviewed on this list. This makes it a great appliance for cleaning stairs. And if you have pets, you’re in luck, since its primary feature is the ability to make pet hair disappear. This vacuum comes with some pretty handy attachments: a dusting brush and a crevice tool. They worked great for us when we used the Shark Cordless Pet vacuum. That means you’ll have better luck cleaning dusty and hard-to-reach places. The rubber hand grip makes sure it fits comfortably in your hand. The suction on this option was strong as well. But the Pet Perfect vacuum also has weak points. 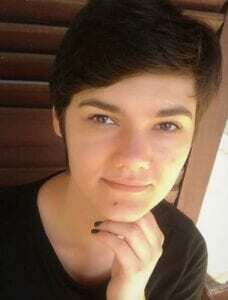 Namely, if the battery isn’t carefully charged and discharged, it’ll run out of life quickly. 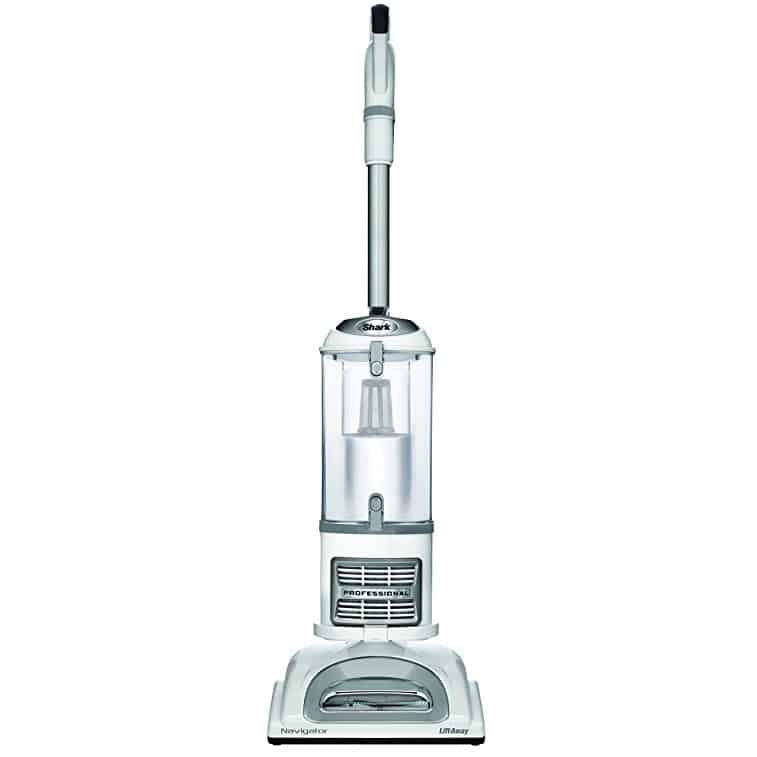 The proper way to use it is to completely charge the battery, and completely discharge it when using the vacuum. On the other hand, the batteries recharge quickly. The wall mount charging dock is convenient and simple to use. A lot of owners of this vacuum also noted the additional brushes and tools are difficult to clean properly, especially when it comes to hair. We found this to be mostly true during our trials. But the filter is washable and convenient. If you need a handheld appliance for cleaning stairs, their Flex model is a great choice. It’s cordless, but, it's still a powerful item that's worthy of inclusion as one of the best vacuum for stairs. 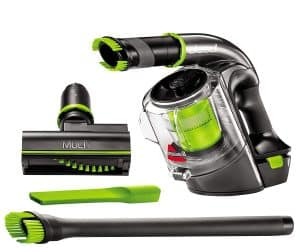 The high-performance motor and various additional tools that come with the Flex vacuum made for easy and detailed cleaning. Its long hose enables you to clean even places that are hardest to reach. The 3-stage filtration system makes sure all cleaning is done thoroughly but also prevents dust and debris from escaping. 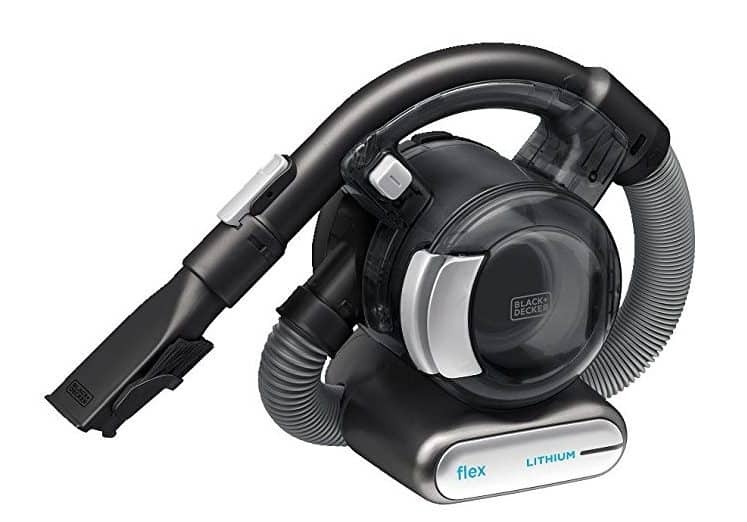 The Flex vacuum also features a washable filter and dustbin. Although the bin is a bit small, this doesn’t make the vacuum hard to use. It’s especially practical for removing pet hair, cleaning upholstery, cars, stairs, and other smaller, hard-to-reach areas. However, users have reported that the suction power of this model is not great. Again, we mostly agreed when compared to some of the stronger options such as the Dustbuster. It’s very good when it comes to smaller jobs, but not for deep cleaning. We noticed its battery runs out in around 15 to 20 minutes, so it’s not ideal for larger cleaning jobs. If you want a great vacuum for your stairs, here’s another good choice. Bissell’s handheld model features a superior lithium-ion battery and fade-free power. It’s lightweight and cordless. When we were putting it to the test, it made quick cleanups a breeze. The extension hose it comes with also made for easier access to narrow or high spots. The motorized brush that comes with this vacuum cleaner comes in handy for pet hair. It also has a dustbin which was easily removed and cleaned. But one of the best features of this model is its ergonomic grip. It allows you to hold the device tightly without straining your arms. Since we tested out a lot of vacuums, we were especially grateful for this. If you use your vacuum frequently, we think you’d also love it. This model comes with multiple additional tools, such as a brush and a crevice tool. Unfortunately, the tools aren’t built in but are kept in a cardboard box, which is not a perfect storage solution. The bigger downside to this model is that, like many cordless vacuums, it has a run time of only about 15 minutes. It has light indicators, so you can see how full the battery is, but there is no charging dock. You can charge it using a cable, but this is not as convenient for quick use. 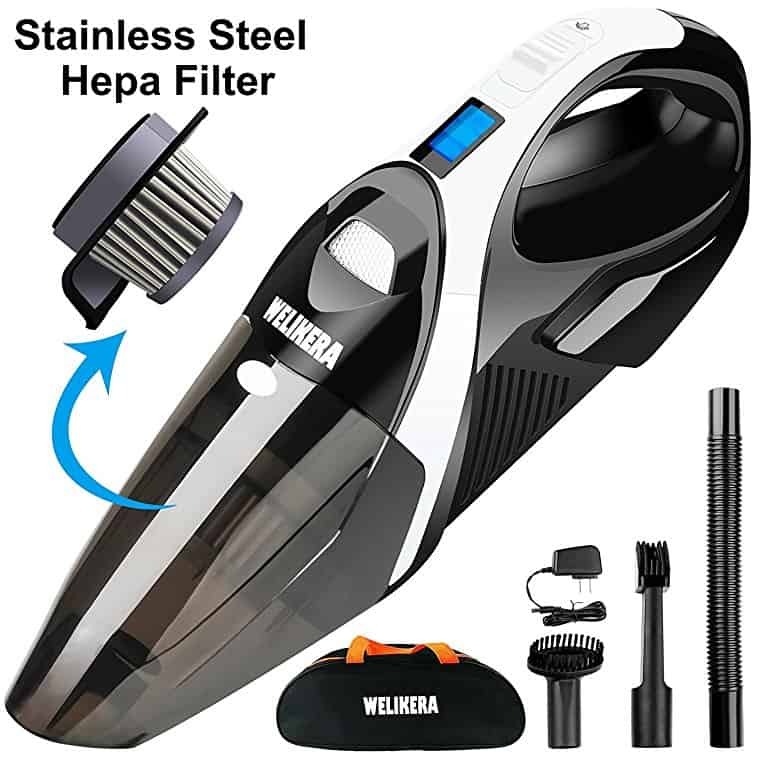 The Welikera handheld vacuum cleaner is a high-quality item. It features cyclonic suction. It was one of the better models we tried for deep-cleaning various surfaces. 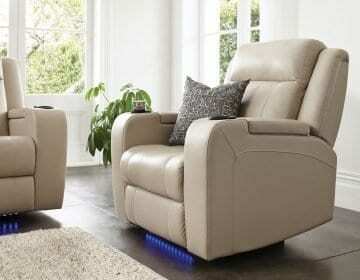 This appliance is perfect for cars, stairs, crevices, and upholstery. It has a built-in light to indicate battery status and an additional light for cleaning dark areas. Thanks to its handy carrying bag, you can store and transport the Welikera vacuum with ease. We certainly did. It comes with various attachments for cleaning different materials and can be used on both dry and wet surfaces. One of the biggest upsides to owning this vacuum cleaner is its filter. A single HEPA filter can be washed up to 500 times and does a great job at hygienic cleaning. On the other hand, this vacuum cleaner has a charging time of 3 to 4 hours. Its battery life is far from impressive, being able to give only about 25 minutes of power. This makes the Welikera vacuum less than suitable for use on larger surfaces. 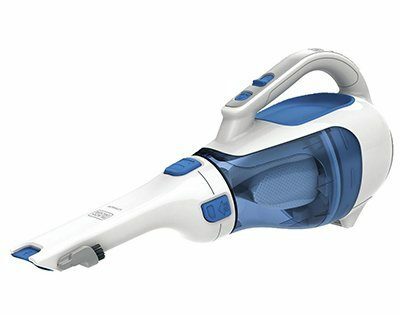 If you’re looking for a vacuum cleaner that’s both powerful and versatile, this one is a good choice. It’s handheld and cordless, so it will make cleaning stairs a breeze. 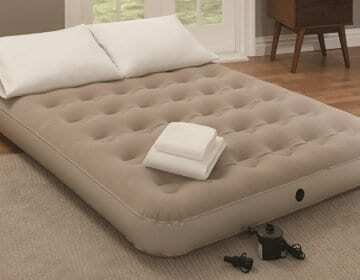 It also comes with three additional tools for pet hair, upholstery, and crevices. The Pet Hair Eraser makes for a very convenient appliance. Thanks to its dual-action filtration system, you won’t have to clean out the filter too often. And removing dirt from the vacuum will be easy because of its convenient dirt bin. This is a lightweight vacuum cleaner, so you won’t have any trouble going up and down the stairs with it. Although it comes pretty close, the Pet Hair Eraser isn’t your perfect home appliance. Namely, it’s not suitable for large areas because the battery holds for only around 30 minutes—even though that’s still twice as long as some of the other options. But, our testing proved this unit has a charging time of 5 to 6 hours, which makes it unable to replace a standard vacuum cleaner. If you’re looking for something that will make cleaning inaccessible spaces a breeze, this vacuum is the way to go. But if you need a tool for larger areas or your entire home, it’s not the best choice. According to Cnet, High Efficiency Particulate Arrestance refers to a special kind of filter. Its purpose is to trap all potentially harmful particles that can be found in the air. 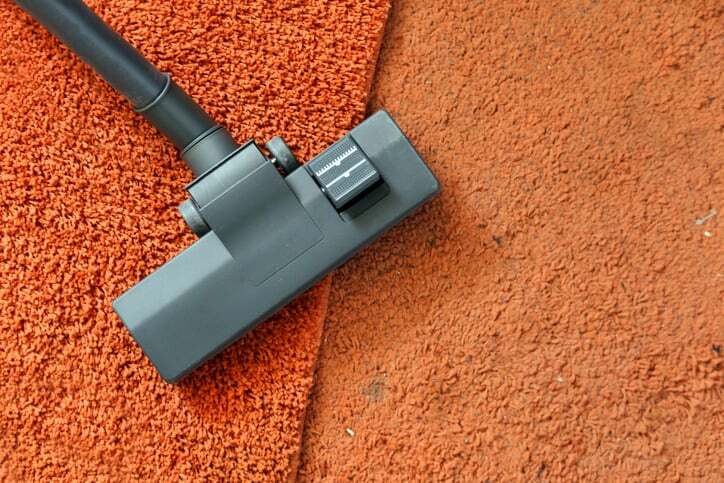 When used in vacuum cleaners, it allows them to pump out air free of dust and allergens. Once we’d tested the vacuums, we gathered all the information and tried to write the most useful reviews possible. Though each vacuum had its own set of pros and cons, we found the best vacuum for stairs to come from Black & Decker.Another, stole our eye thanks to it’s value. The Black & Decker cordless hand model manages to stand out from the crowd and prove it's worthiness as the best vacuum for stairs. It’s really lightweight and capable of getting almost any cleaning job done. Small but mighty! That’s how we’d describe this sweet little vacuum cleaner. And, of course, we wouldn’t be doing it justice if we didn’t mention how wallet friendly it is! Have you had one as good as Black & Decker’s model? If you have, we’d be excited to hear about it. How long can cordless vacuums run? The average running time of cordless vacuum cleaners if the battery is fully charged is 15 minutes. Some models allow up to 30 minutes of vacuuming time, while some last only 10. 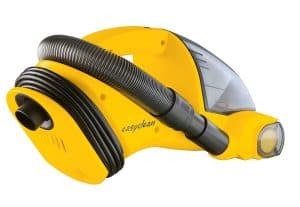 Are the filters and bins washable in these vacuum cleaners? 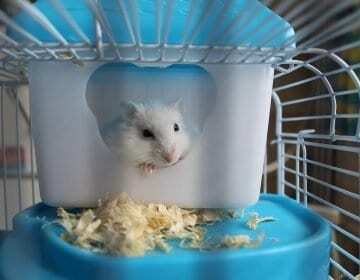 Most of these models come with washable filters and bins which are easily emptied and cleaned. However, you can always order replacements. 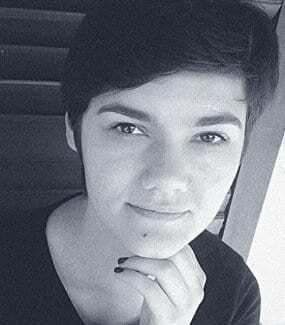 Some models are louder, some quieter, but they are typically no louder than a blender. Most people don’t find the volume to be an issue. Can you plug these into your car? Most of these vacuums are designed to be plugged into a standard wall outlet. However, you can also buy and use an adapter to plug them into your car. Some cordless models may be suitable for use in your car, just be sure to take the size of the vacuum in mind when you’re shopping. Most vacuums come with a few additional tools such as brushes and crevice tools. If there are no tools included, you can always buy a tool collection for your specific model.